Pressure problem forces flight to Houston from Dallas to return, Steve Campion reports. 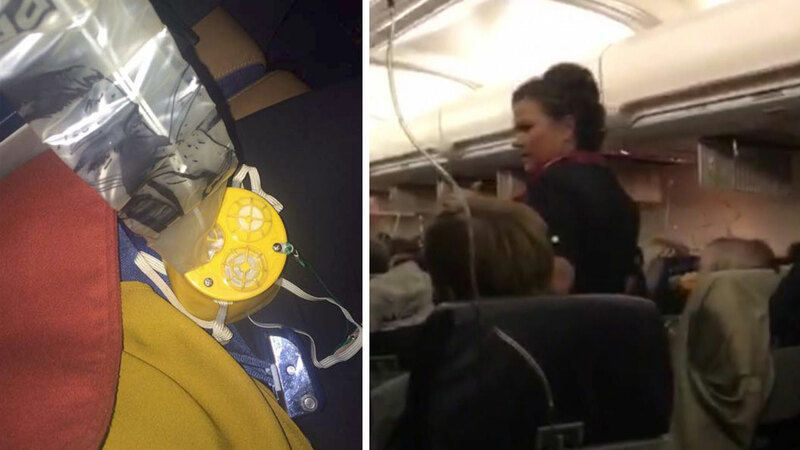 DALLAS, TX (KTRK) -- Passengers on another Southwest Airlines flight to Houston experienced an oxygen mask scare, the second such incident this week. This time, the plane forced to make an emergency landing had just left Dallas. Southwest Airlines said Flight 43 returned to Dallas after there was an indication of a potential performance issue with the plane from the cockpit. RAW VIDEO: Passengers on board Southwest flight from Dallas to Houston. "Following our established protocol and procedures, the pilots completed a safe landing and the aircraft is being taken out of service for inspection," Southwest said in a statement. Oxygen masks on board the plane were deployed. This marks the second time in two days that a Houston-bound Southwest flight was forced to make an emergency landing due to possible pressurization issues. Passengers arrived to Houston on another aircraft late Wednesday.